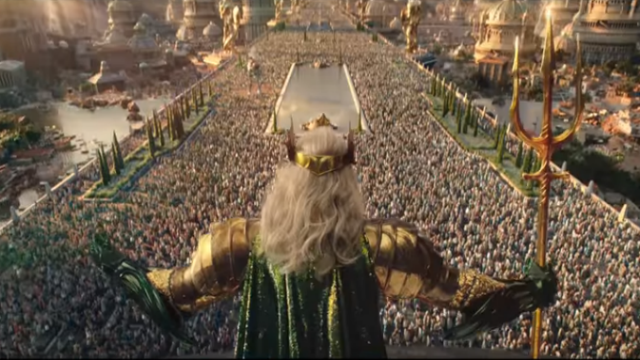 The Final Aquaman Trailer is Here! With one month to go until Aquaman hits theaters, Warner Bros. has unveiled the final trailer for the next DC movie. Boasting new breathtaking visuals and more shots of actor Jason Momoa having the time of his life, the film continues to promote itself as a fun, lighthearted alternative to prior entries in the DC Extended Universe. The new trailer expands on previously seen footage and offers new details about the film’s story. Standouts include fresh glimpses into Arthur Curry’s formative years as well as the battle he faces as an adult. For example, we’re given new scenes featuring the young Arthur, who begins learning about his heritage as a child from his mother, Queen Atlanna (Nicole Kidman). Later in life, his education continues via his mentor, Nuidis Vulko (Willem Dafoe). It’s Vulko who helps Arthur unlock his Atlantean powers and molds him into the warrior that his kingdom desperately needs. The trailer also provides more VFX-heavy looks at Atlantis’ sweeping undersea landscape. There even appear to be a few scenes of the kingdom before it was submerged into the depths of the ocean. Moreover, the dramatic political conflict that advances the film’s plot is granted more context. When Arthur’s half-brother Orm (Patrick Wilson) seeks out an ancient trident that will allow him to wreak havoc on the surface world, Arthur teams up with Vulko and Mera (Amber Heard) to find the artifact and instead bring peace between the two civilizations. There’s also a scarab-like creature that shows up near the end during the skirmish between Atlantis’ warring factions. The creature calls to mind Jon Peters’ outlandish demands for a giant spider in the aborted Superman Lives film. But thankfully, Peters isn’t involved with this movie, so its inclusion probably serves a nobler purpose than shoehorned nonsense. Tickets for Aquaman are officially on sale today. You can check out the final Aquaman trailer below, then share what you think in the comment section! Tags: Aquaman, dc, DC Extended Universe, warner bros.